Gilead Sciences is facing staunch criticism for the price of its hepatitis C drug Sovaldi in the US, but has tried to sidestep the problem in developing countries via a series of licensing deals. The US company has signed agreements with seven pharma companies in India to manufacture and sell low-cost Sovaldi (sofosbuvir) and a follow-up combination with ledipasvir - in return for a license fee and 7% royalties on sales - in 91 countries around the world. The countries within the agreement account for more than 100 million people living with hepatitis C, representing 54% of the total global infected population, said Gilead. The company said the deals would make Sovaldi available at around $900 for a 12-week course, a fraction of its $84,000 price tag in the US. That pricing policy has allowed Sovaldi to become the most lucrative pharma launch of all time, making $5.75bn in the first six months of 2014 despite only being launched at the end of last year. Sovaldi is seen as a major advance in hepatitis C therapy as it can reduce or remove the need for interferon-based therapy - which is associated with serious side effects - and can achieve clinical cures much faster. 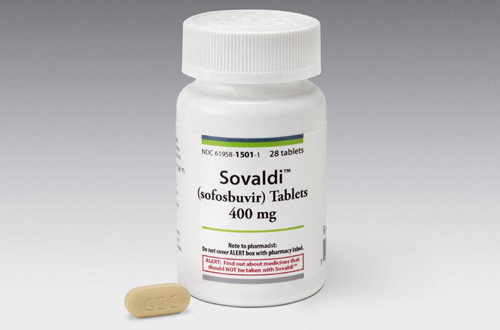 The company has already been supplying Sovaldi at a discount in countries such as Kenya, Mozambique, Myanmar and India under an agreement with medical charity Médecins Sans Frontières (MSF) and negotiated a separate discounted rate with the Egyptian government. The new deal means it will not have to thrash out separate deals with multiple countries although it will still have to tackle the difficult issue of supplying middle-income countries such as China, Brazil, Turkey and Ukraine, which are excluded from the agreement. Almost immediately after the latest deal was announced however it came under criticism from MSF and other groups who said that by allowing the Indian companies to set their own price for their sofosbuvir products and by excluding middle-income countries, falls short of what is required to tackle the hepatitis C problem. In particular, there are concerns that the deal has been structured to thwart competition in middle-income countries as the companies involved - Cadila, Cipla, Hetero Labs, Mylan, Ranbaxy, Sequent Scientific and Strides Arcolab - include some of the world's largest generic players, reports the Pharmalot blog. Medicines access specialist James Love of Knowledge Economy International (KEI) broadly welcomed the deal, describing it as "pro-competitive" and would allow sofosbuvir to be sold in countries outside the 91 specified if a compulsory license was issued. However, he believes the scope should be expanded. "Gilead should expand the license to include Mexico, more countries in South America, Central America and the Caribbean, greater coverage of South and Central Asia, North Africa and Eastern Europe," he said. "It will also be important that generic drugs are available in China," he continued, adding that even high-income countries "face considerable challenges in terms of access and affordability of HCV drugs." For its part, Gilead insists that market forces will keep the price of sofosbuvir low in the 91 countries covered by the agreement. Gregg Alton, Gilead's executive vice president for corporate and medical affairs, said: "In developing countries, large-volume generic manufacturing and distribution is widely regarded as a key component in expanding access to medicines. "These agreements are essential to advancing the goals of our humanitarian program in these countries,” he added.